The president has fumed about news coverage of scandals and remains furious with his attorney general, while friends worry that he is becoming too isolated. Donald Trump and lawmakers met at the White House to discuss gun control and community safety issues. Inside the White House, aides over the past week have described an air of anxiety and volatility - with an uncontrollable commander in chief at its center. These are the darkest days in at least half a year, they say, and they worry just how much farther President Donald Trump and his administration may plunge into unrest and malaise before they start to recover. As one official put it: "We haven't bottomed out." Trump's closest West Wing confidante, Hope Hicks - the communications director who often acted as a de facto Oval Office therapist - announced her resignation last week, leaving behind a team the president views more as paid staff than surrogate family. So concerned are those around Trump that some of the president's oldest friends have been urging one another to be in touch - the sort of familiar contacts that often lift his spirits. In an unorthodox presidency in which emotion, impulse and ego often drive events, Trump's ominous moods manifested themselves last week in his zigzagging positions on gun control; his shock trade war that jolted markets and was opposed by Republican leaders and many in his own administration; and his roiling feud of playground insults with Attorney General Jeff Sessions. Some of Trump's advisers say the president is not all doom and gloom, however. He has been pleased with the news coverage of his role in the gun debate and lighthearted moments have leavened his days, such as a recent huddle with staff to prepare his comedic routine for the Gridiron, a Saturday night dinner with Washington officials and journalists. Still, Trump's friends are increasingly concerned about his well-being, worried that the president's obsession with cable commentary and perceived slights is taking a toll on the 71-year-old. "Pure madness," lamented one exasperated ally. Retired four-star Army general Barry McCaffrey said the American people - and Congress especially - should be alarmed. "I think the president is starting to wobble in his emotional stability and this is not going to end well," McCaffrey said. "Trump's judgment is fundamentally flawed, and the more pressure put on him and the more isolated he becomes, I think, his ability to do harm is going to increase." 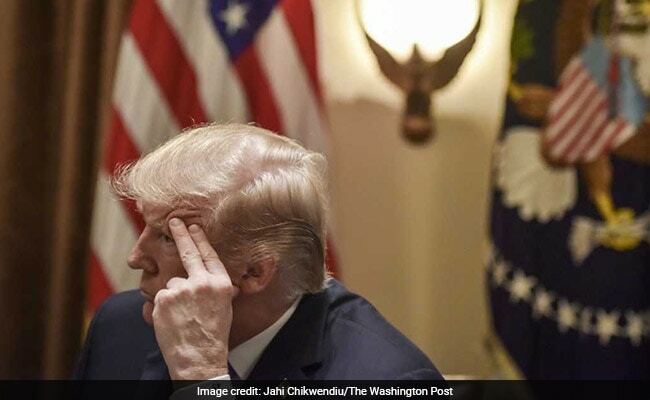 This portrait of Trump at a moment of crisis just over a year after taking office is based on interviews with 22 White House officials, friends and advisers to the president and other administration allies, most of whom spoke on the condition of anonymity to candidly discuss Trump's state of mind. The tumult comes as special counsel Robert Mueller III's investigation of Russia's 2016 election interference and the president's possible obstruction of justice has intensified. Meanwhile, Kushner, a White House senior adviser, was stripped last week of his access to the nation's top secrets amid increasing public scrutiny of his foreign contacts and of his mixing of business and government work. Trump has been asking people close to him whether they think Kushner or his company has done anything wrong, according to a senior administration official. Two advisers said the president repeatedly tells aides that the Russia investigation will not ensnare him - even as it ensnares others around him - and that he thinks the American people are finally starting to conclude that the Democrats, as opposed to his campaign, colluded with the Russians. Still, the developments have delivered one negative headline after another, leading Trump to lose his cool - especially in the evenings and early mornings, when he often is most isolated, according to advisers. Trump has long been furious with Sessions for recusing himself from oversight of the Russia probe, and privately mocks him as "Mr. Magoo," an elderly and bumbling cartoon character. But this past week the president was irate that his attorney general had asked the Justice Department's inspector general - as opposed to criminal prosecutors - to investigate alleged misdeeds by the FBI in obtaining surveillance warrants. On Friday morning, Trump targeted his ire elsewhere. About an hour after Fox News Channel aired a segment about comedian Alec Baldwin saying he had tired of impersonating Trump on NBC's "Saturday Night Live," Trump lit into Baldwin on Twitter, initially misspelling his first name. "It was agony for those who were forced to watch," the president wrote at 5:42 a.m.
"Trump's fundamentally distorted personality - which at its core is chaotic, volatile and transgressive - when combined with the powers of the presidency had to end poorly," said Peter Wehner, a veteran of the three previous Republican administrations and a senior fellow at the Ethics and Public Policy Center. "What we're now seeing is the radiating effects of that, and it's enveloped him, his White House, his family and his friends." Trump jetted Friday to his favorite refuge, his private Mar-a-Lago Club in South Florida, where he dined on the gilded patio with old friends - former New York mayor Rudolph Giuliani and wife Judith and Blackstone Group chairman Stephen Schwarzman, among others. Trump tried to convince his companions that trade tariffs were more popular than they think, according to someone with knowledge of their conversation. Shortly after 8 a.m. Saturday, he rolled up to the Trump International Golf Course for a sunny, 70-degree morning on the greens. Rather than firing off a flurry of angry messages as on other recent weekend mornings, the president tweeted only, "Happy National Anthem Day!" But then shortly after noon, once he returned to Mar-a-Lago from the golf course, Trump tweeted that the mainstream media has "gone CRAZY!" Christopher Ruddy, the chief executive of Newsmax and a Trump friend, said, "I'm bewildered when I see these reports that he's in turmoil. Every time I speak to him he seems more relaxed and in control than ever. He seems pretty optimistic about how things are shaping up." The situation seems to be grating as well on White House chief of staff John Kelly, who had been on the ropes over his handling of domestic-abuse allegations against former staff secretary Rob Porter but who now appears on firmer footing. Talking last week about his move from being homeland security secretary to the West Wing, Kelly quipped, "God punished me." Last Friday, Kelly tried to explain anew the timeline of Porter's dismissal with a group of reporters - an unprompted move that annoyed and confused some White House staffers, who thought they were finally moving past the controversy that had consumed much of February. "Morale is the worst it's ever been," said a Republican strategist in frequent contact with White House staff. "Nobody knows what to expect." Since Trump entered presidential politics three years ago, Hicks has been his stabilizing constant, tending his moods and whims in addition to managing his image. Within the president's orbit, many wonder whether Trump has fully absorbed the impact of Hicks's upcoming departure. Trump told one friend that Hicks was a great young woman, who, after three intense years, was ready to do her own thing. He told this friend that he recognized the White House was full of "tough hombres," according to someone briefed on the conversation. But other confidants said the president feels abandoned and alone - not angry with Hicks, but frustrated by the circumstance. Coupled with last fall's departure of longtime bodyguard Keith Schiller, Trump will have few pure loyalists remaining. "Losing people is too much of a story for the president," said oil investor Dan Eberhart, a Trump supporter and a Republican National Committee fundraiser. "It just seems like it's imploding . . . Trump had momentum with tax reform, the State of the Union speech. He should try to keep that going." On Capitol Hill, lawmakers were left in varying states of consternation by Trump's whipsaw on guns. He suggested publicly last Wednesday that he favored tougher background checks and would forgo due process in taking away guns from the mentally ill, but then sent opposite signals after huddling with National Rifle Association lobbyists the next night. Trump's aides said his vacillation was a function of the controlled chaos the president likes to sow. Trump recently has come to favor opening his meetings to the media - "It's like his own TV show," said one adviser - where he often chews over outlandish ideas, plays to the assembled press and talks up bipartisan consensus, even if it never leads to actual policy. Trump doesn't see guns through the traditional prism of left vs. right, but rather as a Manhattan business developer, said one senior administration official, adding that he has told staff that he doesn't understand why people need assault rifles. The president's decision last Thursday to announce steep new tariffs on aluminum and steel - and gleefully tout a possible trade war - caught almost his entire team, including some of his top trade advisers, by surprise. Earlier in the week, Cohn was telling people he was going to continue stalling Trump on tariffs. He described the tariffs as "obviously stupid," in the recollection of one person who spoke to him. "Gary said to him, you can't do this, you can't do that," a senior administration official said. "The more you tell him that, the more he is going to do what he wants to do." Trump's allies say that in his past ventures he has thrived in chaotic environments, and he has replicated that atmosphere in the White House. Rep. Peter King, R-N.Y., recalled visiting Trump in the Oval Office for a bill-signing photo opportunity a few weeks into his presidency that was scheduled to last just a few minutes. "We were in there over an hour, and every White House character was in there at one point or another. . . . It was like Grand Central station," King said. "He has a way of getting things done. He had the worst campaign ever. On election night, he was the guy smiling and had won."